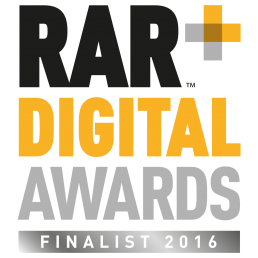 We’re completely chuffed to announce that Katté & Co has been named a finalist in not one, but TWO categories for the 2016 RAR Digital Awards. We’re especially proud of this because the RAR Digital Awards are unique in that they reward the best performing agencies in the country, as voted for by clients. So thanks to our lovely clients for being so great! Good luck to us and thank you again to our clients! For more info see the RAR Digital Awards website.